Fuel Card Services are now proud official sponsors of two cars in the Porsche Carrera Cup. 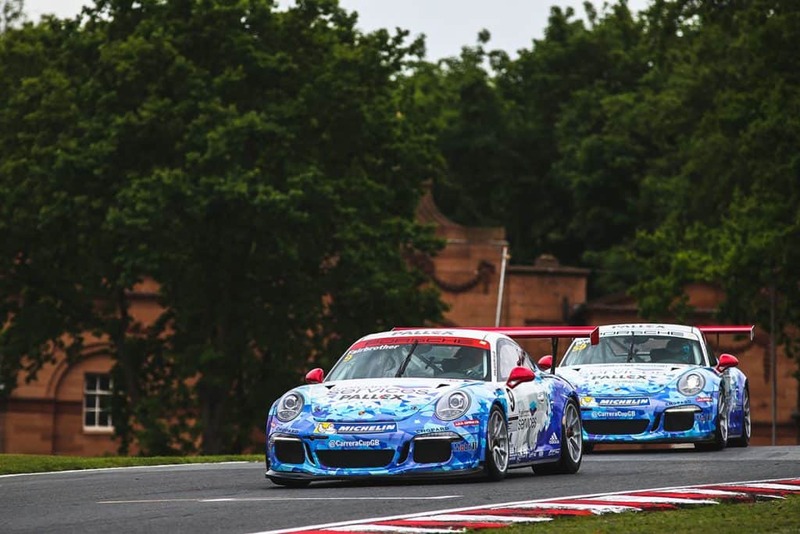 The company’s logo appears on racing suits for drivers Ross Wylie and Dave Fairbrother, as well as on the bodywork for their respective 453bhp Porsche 911 GT3 Cup cars as they pursue podium spots in the Porsche Carrera Cup, which recently restarted for the 2017 season. Fleeces of the drivers’ engineers will also bear the Fuel Card Services logo. Fairbrother is driving in the competitive Pro-am 2 class, which is typically reserved for drivers experienced in endurance racing. After the first two rounds, he ranked fourth out of seven. Meanwhile, Wylie’s car is in the higher Pro class, the premier group in Europe’s most competitive single-make series. At time of writing, he had no points due to a crash that wasn’t his fault and subsequently ruled him out of the second round. However, Ross is determined to put that right and make up for lost time next time he gets out onto the track. The sponsorship deal means that Fuel Card Services will appear on nationwide TV, with race days being broadcast live on ITV4, as part of the channel’s coverage of the British Touring Car Championship (BTCC). 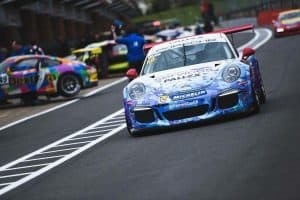 Despite the BTCC’s rising popularity, the Porsche Carrera Cup is considered to be the fastest race of the day, with Porsches setting lap times between five and nine seconds quicker than a British touring car. 2016 saw him enter several endurance races around the world, including the Gulf 12 Hours where he finished fifth, and the Dubai 24 Hour, where he placed 16th after suffering major damage in an incident which forced him to rebuild the car to continue. Find out more here. Dumfries-born Ross Wylie was named the British Racing Drivers’ Club’s Rising Star in 2014, after three wins as well as three other podium places from eight races in his first British GT4 Championship. In 2015, Wylie entered his first British GT Championship Silver Cup, securing six top ten placings from nine races, before being named McLaren GT’s Young Driver, and the BRDC’s SuperStar.